One thing I love about having a blog is that I get to upload as many photos of the same place and same outfit and I won't lose followers, hah yay! I feel like it's annoying when I go somewhere and have like 10 million photos to post but only post 5 because the others are basically all the same, with the same outfit, so I have to pick the most different photos out of them all, which usually only ends up being like 5-6 photos. At least here you can see the full gallery of our Germany Trip, even the ones I won't post on Instagram. I wasn't expecting much of Germany, all I could think of was really tall German people and I was going to be the shrimpy short American Girl. However, on the other hand, I was excited to see all the history that has happened over the years.I am a real big fan of history, that was always one of my favorite classes through high school and college. Unlike math you never had to make sure it was right, or solve something, it was just facts and pure amazement to me. I ALSO love them because you can drink wine at any hour and at any place - I.E the street, the train, anywhere you please. There are a few things I recommend doing while there. 1. Falafels - google them, try them, thank me. 2. Buy Wine (or beer, but you guys know I love wine) Sit on the grass by the canals and just enjoy life for a second. 3. Try to listen to someone's conversation and figure out if they are genuinely mad at each other or if they are just talking. 5. 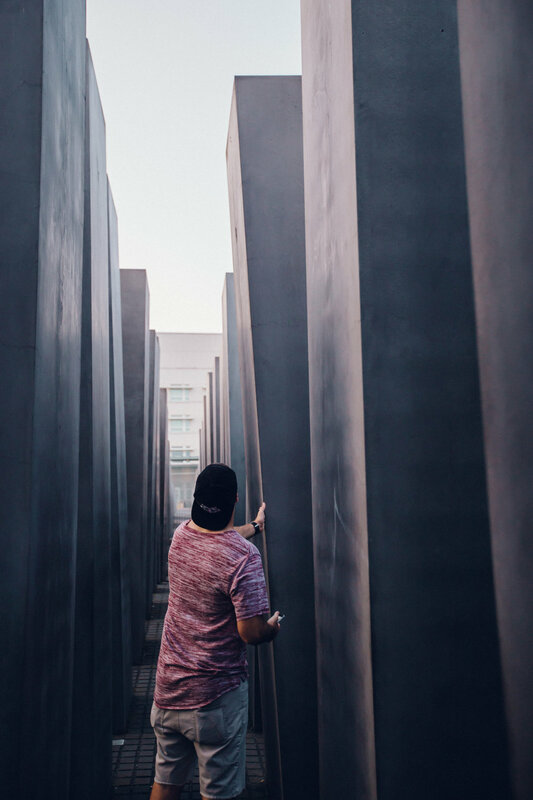 Visit the Memorial of the Murdered Jews. Just sit there and have a moment. 6. 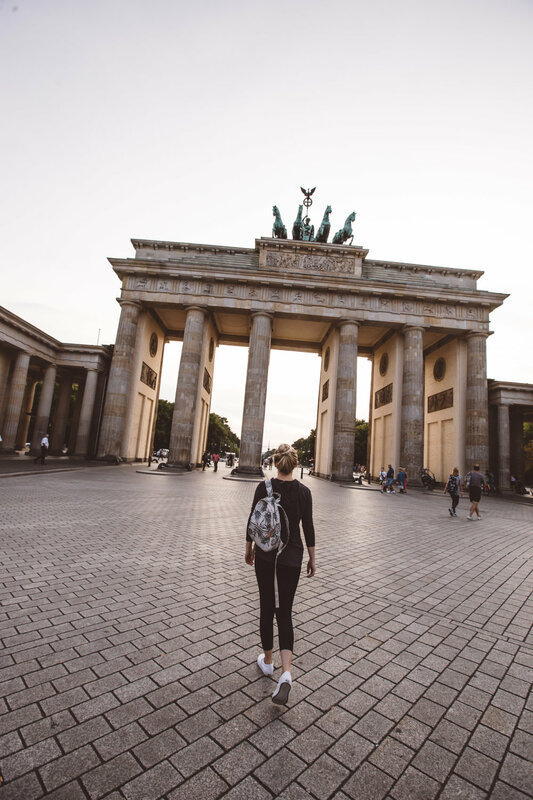 Get in the background of as many photos as you can at the Brandenburg Gate, it gets packed idk how we got so lucky to have very few photos. 7. Wear comfy walking shoes. 8. Bring half German boyfriend so he can pretend like he speaks German and make him try to find everything because you don't know any German and answer everyone in Spanish. 10. 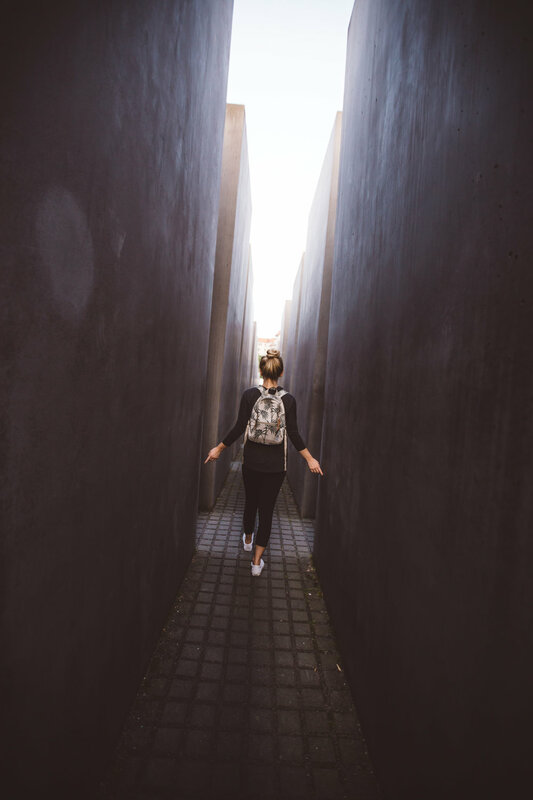 Visit Berlin Wall- touch every part of it. Then just take a moment there too. 11. Eat all the Carbs, all of them. 12. And finally, just enjoy the fact that you are lucky enough to travel so far and be in the presence of something new. So far I have been pretty lucky with traveling and I wouldn't change that for anything! p.s you can drink in the streets. Like a classier version of Las Vegas.